If you’re looking for stunning ideas for a contemporary bathroom, the range from Roman Showers could be perfect for you. Roman Showers is a long-established UK company that specialises in giving you real choice when it comes to your bathroom. From generous walk-in showers to beautiful bath screens, you should be able to find shower products that are just right for your home. Take a look at our Roman Showers collection and order online today or call 0800 093 5610 to find out more. 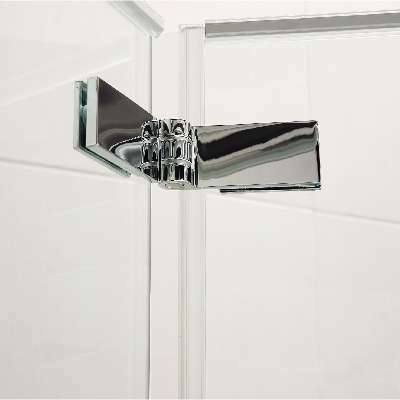 For shower trays, shower doors, bath screens, panels and more, including wet rooms, choose Roman Showers. The company has over twenty years of experience in the bathrooms market, and has a reputation for design and quality excellence. Whether you want a walk-in shower with the same size footprint as a traditional bath, or a shower tray with built-in optic lights that give your bathroom a truly contemporary feel, choose Roman Showers. If you want to make your bathroom a truly luxurious place to be, Roman Showers is the natural choice. Whether you need to make the most of your space or you have a large room to play with and want to indulge yourself, there’s something in the collection for you. At Trades Bathrooms, we stock everything you need for your new bathroom from some of the leading names in the market. Take a look at our Roman Showers range today and buy securely online or call us on 0800 093 5610, where we’ll be happy to help.